The adidas Country series is inspired by the international competition among football teams in the FIFA World Cup. The shoes and sportswear commemorate the national colors and emblems of participating teams, and sports fans can wear the items to show their loyalty and support. 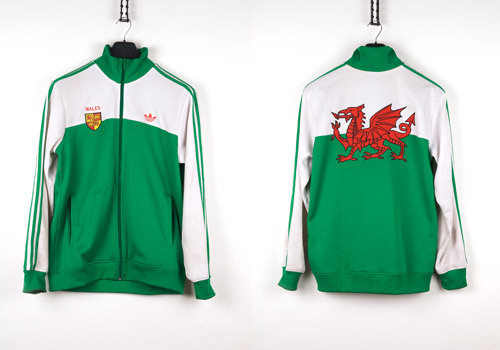 The Wales track top features the white and fairway green colorway and the red dragon of the Welsh national flag. The jacket is color blocked with a green collar, white upper body, and green lower section. The arms are white with three green stripes that run from the neck down to the cuff. 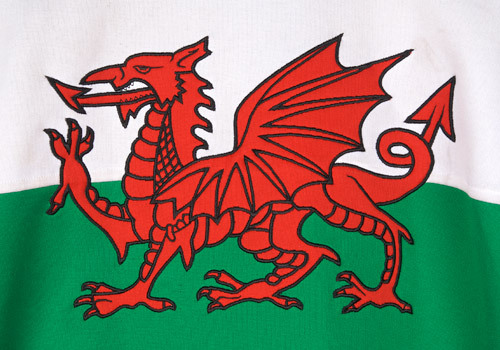 On the backside, the red dragon passant on the white and green field is the exact representation of the Welsh flag. 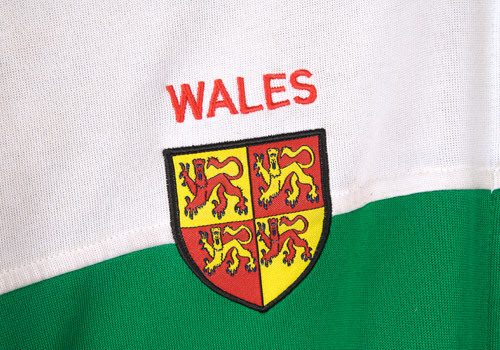 The jacket is further imbued with national pride as seen in the embroidered Wales name and coat of arms on the upper right chest, and the adidas trefoil logo is imprinted on the upper left chest. The relaxed fit and lightweight polyester of the track top allow for comfort, and the two side pockets provide personal storage space. In cold weather, the full-zippered front can be completely pulled up to cover the neck, and the ribbed cuffs and bottom band comprise a close fit for insulation. The functionality of the Wales track top is fitting for athletic use, and the Welsh colors and graphics declare allegiance to the country’s football team. I must have this top.